On August 29, 2014, I helped facilitate a Twitter chat for a course I was co-designing and facilitating called Why Open? at P2PU (Peer 2 Peer University). I had this Twitter chat archived at storify.com, but since it’s going away I’m moving the Tweets here to my blog instead. So imagine that this post was made in 2014! Welcome to the #WhyOpen chat! Please introduce yourself: where you’re from, what you do, your interest in “open”. #WhyOpen I teach philosophy at the University of British Columbia in Vancouver, Canada. Mostly interested in open edu, but other open too. #WhyOpen Not in Course and was curious about WhyOpen. @WhyOpenCourse Just joined #WhyOpen week 3 discussion. #WhyOpen A1: A question came up on twitter last week: if use CCBYSA pic on blog post, does blog post have to be CCBYSA too? #WhyOpen A1: another question: if ppl don’t want commercial use of their work, does CCBYSA do that as well as CCBYNC, and then more? #WhyOpen I guess what I’m asking is: if someone wants non commercial use of their work, is NC the best, or does SA do more than NC for that? Q2: Let’s get started on the #WhyOpen questions. 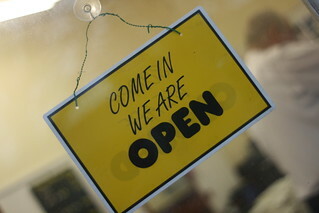 First, what are the benefits of open, in any context you want to focus on? #WhyOpen A2: Benefits of making my edu work open: meet & collaborate w/others around world, improve tchg materials, even invites to speak. Question 4: Drawbacks to openness? #WhyOpen Thanks everyone for an enlightening chat! I continue to learn more and more about CC licenses even when I think I’ve got it all!